With a population of seven million people, Bogotá DC is the fourth largest city in South America and the capital of Colombia. The joys and nuisances of the country are present here in full force and amplified form. In the case of Colombia, there are quite a few of them. The city is also fragmented programmatically. Besides the Centro Internacional from the 1970s, the city boasts a series of larger and smaller highrise clusters and business districts. The retail trade has its own logic with concentrations of specialist shops and branches of the same restaurants chains. The rumba too, as the nightlife is called, is scattered. The zona T, zona G, La 93, la Macarena and la Candelaria are all worth their own night-time exploration. And dont forget Usaquén, a village thats been swallowed by the city but still has its village square and, around the corner, a hacienda thats been converted into a centro commercial. Further away from the city, in the village of Chía, youll find Andres Carne de Res. Its an astounding cacophony of knickknackery, noisy clients, party goers and most importantly, Colombian cooking  by far the best eatery experience of the year, and representative of the spatial experience of Bogotá. – Plaza Bolivar in La Candelaria is the colonial heart of the city, neatly flanked by the parliament, city hall, cathedral and Supreme Court. The gloss from the colonial era may have faded, except for some beautiful timber balconies and well-maintained façades. But the real charm of the colonial quarter lies behind the façades, in the world of patios and passageways full of eateries and drinking holes. 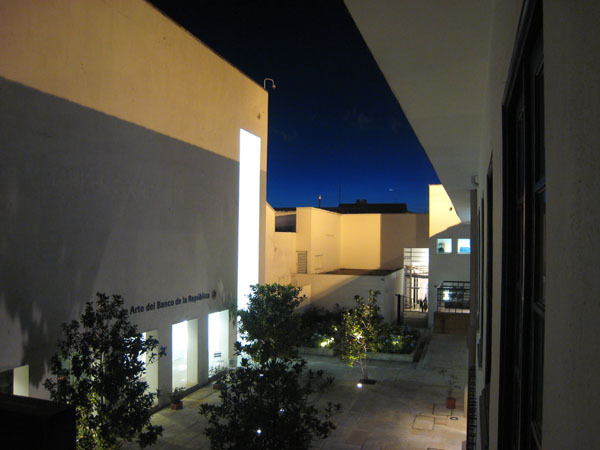 Most of the other interesting places are recent interventions such as the Centro Cultural Gabriel García Marques by Rogelio Salmona and La Manzana Cultural, a pleasant labyrinth of patios, cafés and three museums, including Museo Botero. 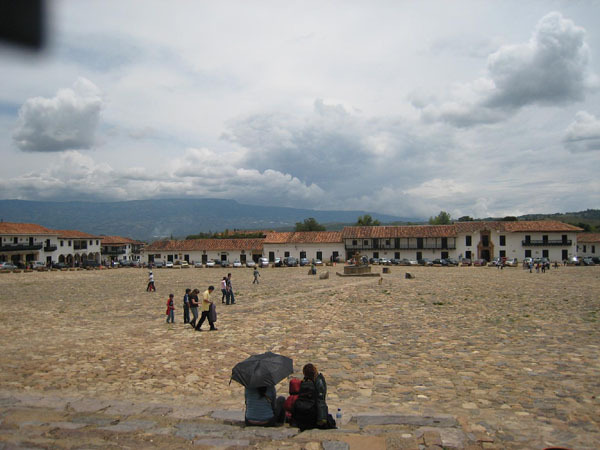 – A few hours north of Bogotá is the Villa de Leyva, where the colonial architecture has survived better and the interconnected courtyards within the blocks are even more labyrinthine and lively. – The Museo del Oro houses the treasures of the pre-Colombian civilisations and an excellent restaurant. – For fans of the architecture of Rogelio Salmona: buy the March issue of A+U and visit the Bibliteca Virgilio Barco, las Torres del Parque, la Nueva Santa Fe, el Archivo Nacional, el eje ambiental, and many more besides. 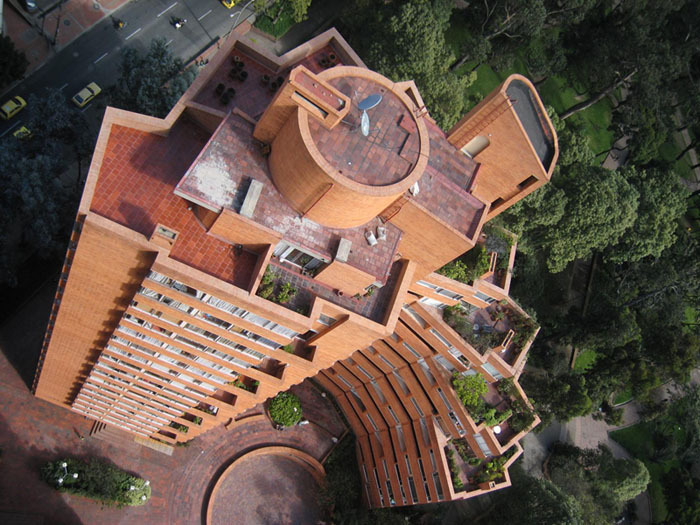 – The Universidad Nacional occupies a spacious campus full of wonderful modernist architecture built in the 1930s. Just try and imagine it without all the layers of graffiti. A stark contrast to that is the private Universidad de Los Andes, a veritable Eden full of cute little faculty buildings, gardens and terraces at the foot of the Andes, but difficult to enter without a reference on the other side of the entrance gates. This is just a selection of the many havens that await you. Look beyond the fences and the gatekeepers, behind the façades, and in the patios. Stop if youre unsure but remember: curiosity will be rewarded. First of all, Colombia is a festive country. No matter where you order a drink or a juice, itll always be served with a straw  even in expensive restaurants and even as a handy stirring implement with tea or coffee. Whats more, a daily dose of Salsa, Merengue and Vallenato is inescapable, and the country boasts an extravagant food culture. The sun shines every day and the geographical, ecological and demographic diversity is spectacular. At the same time, for more than forty years Colombia has been plagued by a complex armed conflict in which rebels, paramilitaries, drugs cartels and politicians accused of corruption have vied with one another for supremacy. Around three million displazados have fled the violence and moved to what were originally illegal neighbourhoods in the major cities. The inescapable poverty is present in the homeless, beggars and street vendors that daily occupy the streets. Colombians long for a peaceful solution to the conflict, and the hope of a return to normality is greater than ever since the release of Ingrid Betancourt from the hands of a weakened FARC. It is against this background that Bogotá has developed from one of the worlds most infamous cities in the early 1990s to a shining example of urban renewal and good governance today  and well known in the international architecture arena since its award at the 2006 Venice Biennale. Investments in public space, infrastructure, public transport, ecology, schools and libraries have given the city a huge impulse but are far from finished and are affected by the vagaries of funding, politics and (the lack of) technology. Bogotá strikes as a fragmented, diffuse place. The city is wedged between the Rio Bogotá and the Cerros Orientales. The eastern foothill of the Andes forms a fantastic backdrop for the city. You get a good view in the morning after a steep climb from 2600 in Monserrate to 3100 m altitude. 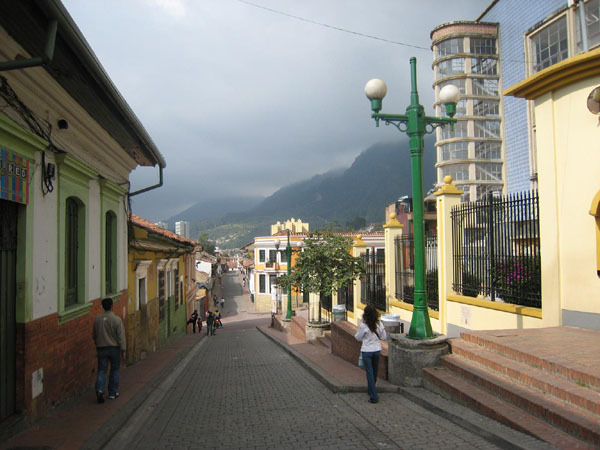 (The less sporty tourist can take the train or cable car up and, after visiting the church, enjoy roasted corncobs and arepas). Beyond La Candelaria, the old colonial part of the city and the 1970s highrise of the business district, the vacuous character of a city that has grown in an uncontrolled manner dominates. In most parts of the city the street pattern reveals a legible structure of carreras (north-south) and calles (east-west), but thats not the case in the informal districts, which lack any functional hierarchy. Development tends to be chaotic and is interrupted everywhere by parking lots, blind façades, dilapidated premises and informal structures. In more well-to-do areas apartment complexes, walled villas, small shops and big malls alternate merrily with one another. If you think you can marvel at all this variety on a leisurely stroll around town, then youre wrong. For the quality of the pavement, just like the architecture, changes all the time, and youre likely to end up tripping over kerbs, ledges, bollards, potholes, street vendors and pedestrians who do look down to see where theyre going. Dont forget to stop off in one of the spruced up small squares or parks or in the Juan Valdez cafés for your daily dose of Colombian coffee.